I see it more full of obscenity. It’s just – Nature here is vile and base. I wouldn’t see anything erotical here. I would see fornication and asphyxiation and choking and fighting for survival and… growing and… just rotting away. Of course, there’s a lot of misery. But it is the same misery that is all around us. The trees here are in misery, and the birds are in misery. I don’t think they – they sing. They just screech in pain. […] But when I say this, I say this all full of admiration for the jungle. It is not that I hate it, I love it. I love it very much. But I love it against my better judgment. Below is Herzog’s list of advice for filmmakers, found on the back of his latest book Werner Herzog – A Guide for the Perplexed. (Hat tip goes to Jason Kottke for bringing it to our attention.) 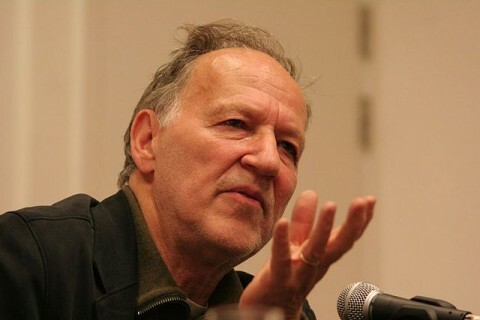 Some maxims are pretty specific to the world of moviemaking – “That roll of unexposed celluloid you have in your hand might be the last in existence, so do something impressive with it.” Other points are just plain good lessons for life — “Always take the initiative,” “Learn to live with your mistakes.” Read along and you can almost hear Herzog’s malevolent Teutonic lilt.